Blackpool Council’s Arts and Library Services, in partnership with LeftCoast, are seeking to appoint a dynamic and experienced Creative Producer to programme, organise and deliver our Wordpool Family Day on Saturday, 6th July 2019 in Stanley Park. Wordpool is an established programme of festivals celebrating literature, writers and words in all their many wonderful forms. 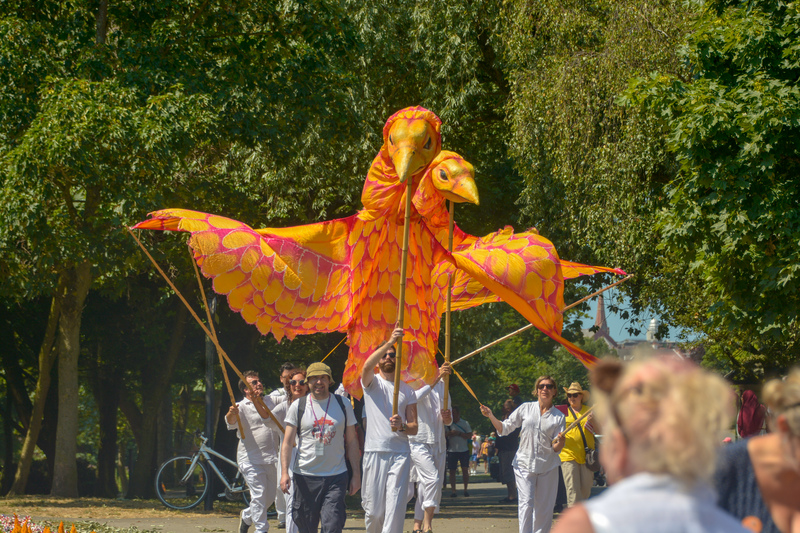 The Wordpool Family Day is a highly successful annual date in the calendar at the beginning of July where up to 4000 local families enjoy arts activities, performances and storytelling across different locations in Stanley Park. The Creative Producer will work closely with the Wordpool Steering Group of key stakeholders and committed partners. A reasonable budget for commissioning artists and performers, hiring equipment and marketing is available informed by 12 years of delivering this one-day event. More information about Wordpool and the Family Day can be found on our dedicated website at wordpoolfestival.co.uk – in particular please see the video section. If you are interested in applying for this role please submit a letter of application no longer than 2 sides of A4 detailing your relevant experience linked to the key skills and experience we have set out in the brief. We also require you to submit an up to date curriculum vitae and two referees. Candidates will be notified before 5pm on Friday 8th February. We will interview interested applicants on Monday, 11th February at FYC Creatives, Church Street, Blackpool, FY1 3PS.